I had some ideas on how to tackle this. Making Tag Wikis searchable should not / would not be a very difficult task. They are indexed by Google, so they are searchable externally. I think they should be made searchable similar to questions and answers internally as well. In a search query, the tags should first be identified, and then the remaining terms could be searched for within the Wiki. Then, questions and answers could be searched normally. If the Tag Wikis are well written and curated, they would have the FAQs of the tag and some of the commonly asked information as well, making the search process possibly faster and return relevant results. Tag Wikis are a minimum 3 clicks away from the home page whereas questions and answers are 1 click away. This itself is a demotivating factor as far as putting efforts into the Tag Wikis are concerned as compared to asking and answering. Moreover, the chances of a new user even stumbling onto the Tag wikis is remote. To tackle this, Tag Wikis could be brought right onto the home page. Clicking on a tag from the panel on the home page would redirect to the Wiki and not to the tagged questions. This would be only from the top panel. The tags that appear on the top panel would be ones that are selected via a democratic process by the community, and not simply the most popular ones. This would allow for the site's best Wikis to be displayed on the home page. While I agree with the overall idea, I wouldn't exactly "waste" (hope you forgive the strong word) 20-30% of vertical screen estate to highlighting the tag wikis. Instead I would go with the top-X (e.g. X == 10) from the popular tags tab nicely in a single line, no bigger than they appear under a question. The reason this still should work, is because the excerpt gets shown on mouse-over. So the information you want to cram onto the screen and which I deem "wasting" my screen estate would still be there, just shown on mouse-over. What do you think? Edit: As AshRj pointed out in a comment to this answer, we could also meet somewhere in the middle - provided the SE staff likes the idea and is up for implementing it ;) We could make the appearance of the top tag wiki list dependent on the reputation a user has (i.e. using the bigger version shown in the above question for lower rep users) or allow the vertically bigger list to be dismissed/minimized, as long as this setting sticks. Not the answer you're looking for? 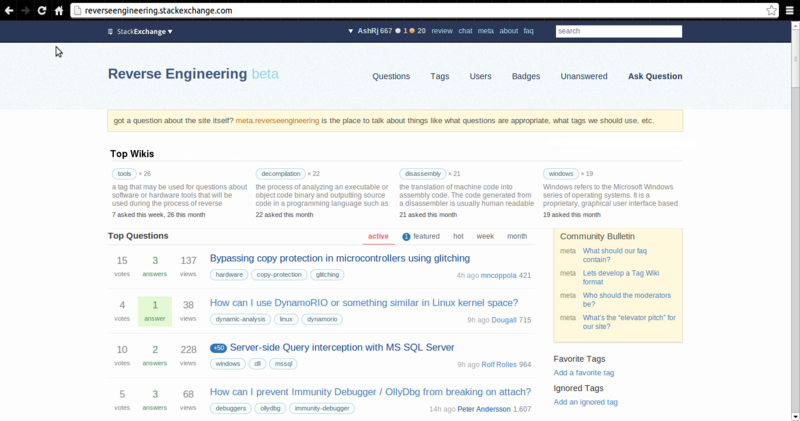 Browse other questions tagged feature-request tag-wiki . Should we have a Featured Tag Wiki of the Month™? Where does the “see also” come from in a tag excerpt? What can be done to make the Twitter account more effective?